All of our books align with state and national standards. 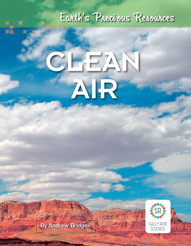 Clean air, clean water, and the other resources we depend on are under threat. This series tells about efforts all over the world to protect our precious resources. Water is essential to human life. Clean Water helps readers understand just how limited our supply of clean, fresh water is. The book explores why clean water is in increasingly short supply in many parts of the world. 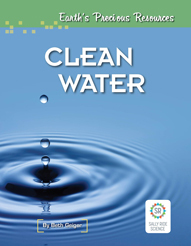 Clean Water also describes efforts around the world to protect our water resources and develop technologies for recycling and conserving water. Learn how to live green in this series from noted astronaut and environmentalist, Sally Ride that is dedicated to 3 of the Earth's main resources--air, energy, and water. 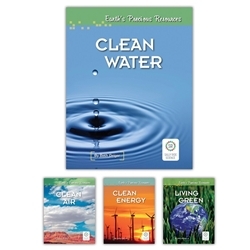 Each volume describes how people use the Earth's resources and what can be done to protect them. Packed with full-color photographs and illustrations. This volume examines how burning fossil fuels, clearing forests, and other human activities affect the Earth's climate by contributing large amounts of greenhouse gases to the atmosphere. Clean Energy shows how people around the world are working to develop clean and renewable ways to meet our energy needs. Promising technologies range from solar power and wind power to geothermal energy and biofuels. 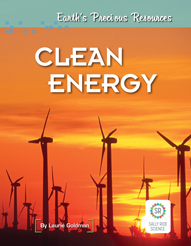 The book explains why the development of new technologies and the refinement of old ones are critical to providing sustainable, accessible energy for the people of our planet. 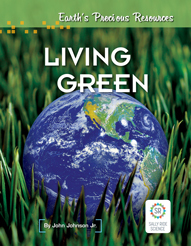 Living Green begins by explaining how human activities have affected the precious resources we depend on for our very lives. The book helps readers understand the growing need for creative, realistic, and eco-friendly solutions to our environmental challenges. Living Green also shows how individuals and communities all over the world are being proactive in creating lifestyles that minimize our impact on the planet. The series looks at the resources we depend on—and examines the growing threats to those resources. The books share examples from around the world of how people and communities are developing new technologies and making lifestyle changes to protect and preserve our precious resources. View individual titles for details about each book.